A Brooklyn man will spend up to six years in prison for stealing six properties in the borough, including a 19th-century Fort Greene mansion. Crown Heights resident Aderibigbe Ogundiran pleaded guilty in March to grand larceny and fraud charges in the case, and he was sentenced on Wednesday to two to six years in prison, according to the Brooklyn District Attorney’s Office. 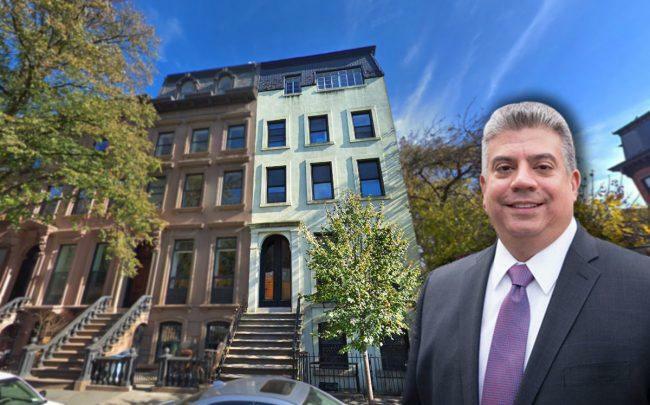 Its investigation found that he stole six Brooklyn properties between February 2015 and December 2016, targeting buildings where the title holders were dead or buildings that seemed to have no one taking care of them. He took or tried to take control of the properties by using a host of counterfeit documents, including deeds, driver’s licenses and notarizations. The most notable property Ogundiran targeted was 176 Washington Park in Fort Greene, a landmarked 10-bedroom mansion standing five stories tall. He filed a deed transferring ownership of the house to himself in 2015, using an imposter to pose as the actual owner, who had died and whose elderly sister still lived in the house. The investigation into Ogundiran started after the sister received a notice that she needed to leave the house. The other properties Ogundiran targeted included a three-story brownstone at 123 Albany Avenue in Crown Heights and a two-story single-family home at 1024 Hendrix Street in East New York. He also stole a trio of buildings in Bedford-Stuyvesant: a two-story single-family home at 42 Albany Avenue, a three-story building with residential and commercial space at 1424 Fulton Street and a two-story home at 49 Albany Avenue. At 42 Albany Avenue, Ogundiran leased out one of the apartments and collected rent, according to Brooklyn District Attorney Eric Gonzalez. Ogundiran was arraigned in the case last May on a 64-count indictment and faced up to 25 years in prison if convicted. His attorney Jay Schwitzman did not immediately respond to a request for comment.